Through Avalanche Studios' 16-year history, it's best known for two successful franchises. The first, the big and obvious one, is Just Cause. The second will come as a surprise for a lot of folks. It's called theHunter -- a realistic, first-person hunting simulation. It has a very niche-but-dedicated audience. The next release in Avalanche's arsenal is something of a merger between these two series. On March 26, Generation Zero will launch. It combines the tactical stealth-forward approach from theHunter with the emergent (and sometimes ridiculous) open world of Just Cause. It's also very Red Dawn in its teenage guerrilla warfare and its '80s tropes -- except the kids are fighting robots rather than communists. How we got here is a mystery. 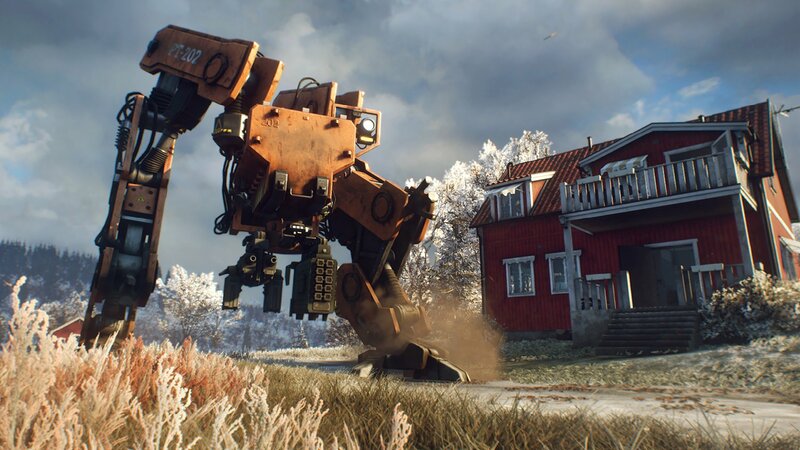 Generation Zero picks up as four young Swedish adults are returning from a trip to the country's archipelago. Their boat is sunk and they're thrust into some sort of dire robo-apocalypse. They sneak from house to house hoping to pick up supplies. They have to sneak because the robots are so rapaciously aggressive when they see any organic being. Generation Zero can feel oppressive, especially at first, but this is something Avalanche won't budge on. It's a cooperative game for up to four players, but anyone can try it solo. It'll be a challenge, though. 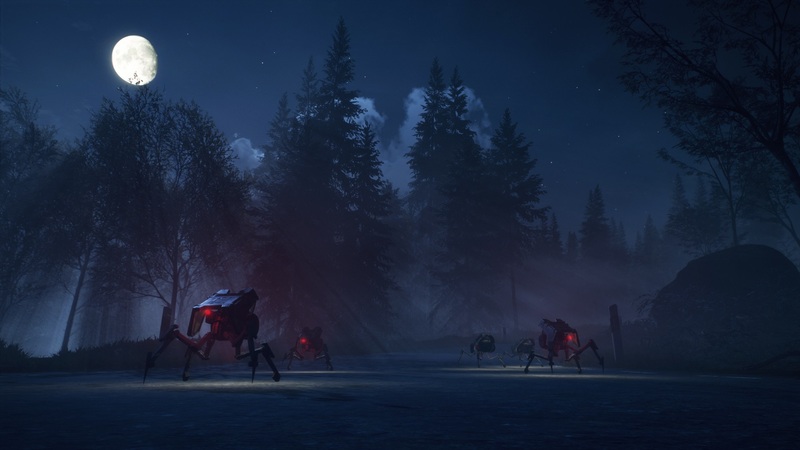 Generation Zero's difficulty doesn't scale to the number of players in a session. Rather, the difficulty is in the geographic locations of the world. Some places are easier than others. It'd be wise for those one-person teams to first sharpen their skills and fill their XP bars in the less-hostile areas. Avalanche's unwillingness to compromise on Generation Zero is a common theme during our trip to Stockholm. 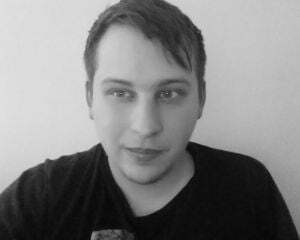 Director Emil Kraftling explains why Avalanche ended up self-publishing development. "Well, if we were to go to a publisher and say, 'So we want to make this game: It's kind of the recreation of our childhood fantasies in Sweden in the '80s,' they would probably have a hard time seeing the worldwide appeal for that," Kraftling says. "Even just the setting of Sweden -- we really love it and we really think we do a great job with it, but will it have an international audience? Do they even know what Sweden looks like and can they get excited over it?" That's not all. Generation Zero doesn't have a central character to put on marketing materials. There are no cinematics. Hell, there isn't even a main story that's required to progress. These are all things Kraftling thinks a traditional major publisher might've wanted from Generation Zero but Avalanche didn't necessarily want. So, the studio forewent pitching it around and just funded the project itself. But, it's really that steadfast resolution to accurately depict Swedish life that drove Avalanche. "All the stuff you find in the world is written in Swedish. You find Swedish notes, Swedish signage, you look at the newspaper headlines and it's in Swedish," Kraftling points out. "Now, we still wanted to be understandable to a foreign audience, so you get subtitles for everything. But, that would probably be something that's too scary for [an external publisher], but we felt it needs to be authentic. It needs to be in Swedish." There's extra pressure among game development pals to do right by the Scandinavian country. EA DICE is located one building away from Avalanche's office; Paradox is two floors below. The center of this very cold city is a hotbed of game developers. Sweden has novelty but the intersection with Just Cause is where Generation Zero finds fun. Kraftling tells us that Just Cause taught Avalanche how to let the player create their own memorable moments. 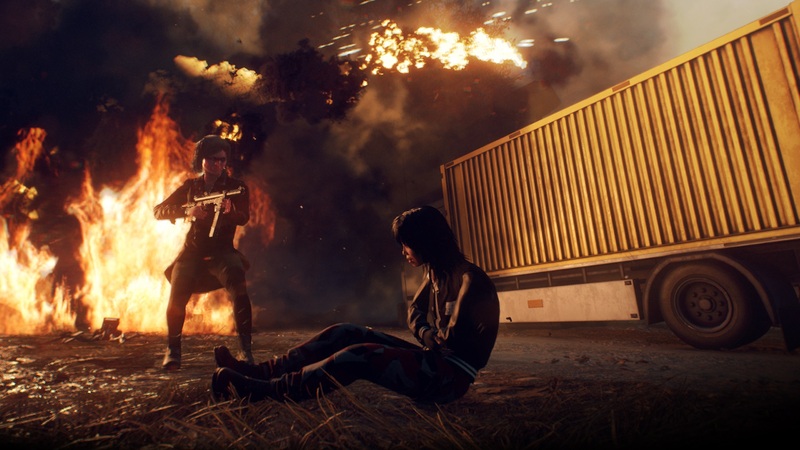 "One of the main things [we learned from Just Cause] was to not shy away from creating tools for the player that don't have one specific use, but rather they have a function. That function can interact in interesting ways with the environment, or with the enemies, or with other tools. So, that combination or that emergence of mechanics allows people to be playful." Kraftling continues "We've tried to incorporate that in Generation Zero in some of the items that you find. The sticky flare is one of my favorites. In its base function, this is something that the enemy sees as a target. If they see this they will start shooting at it. Then, you have the option to place it in various forms. With a regular flare, it will require some skill to place, but with the sticky flare, you can be even more specific with where you attach it. You can attach it to an enemy and the other robots will start shooting at the flare and hitting their ally. Or you can throw it at a gas tank and you will see runners just jumping out and headbutting the gas tank and making it explode." There's depth outside of the basic robot shooter stuff and whatever raucous chaos that entails. A soft class system has players specializing toward combat, support, survival, or tech proficiencies. The robots play their own roles too (all of which are inspired by animals, bringing the theHunter analog full circle). For instance, ticks are small, creepy, and unpredictable; the hunter is "sinister" and lurks while plotting ambushes of the players. Maybe most important: there's a Top Gun bomber jacket, Terminator glasses, a Snake Plissken eyepatch, and a Breakfast Club dance emote. Generation Zero is constantly balancing the serious survival components with the goofy '80s kitsch. Avalanche promises that balancing act will have a long tail. Kraftling says "We see the launch as the beginning. We are dedicated to this being a product that lives on." He also mentions "A lot of those things will look to add endgame content. There is a mystery to solve, and you will get many answers by doing the missions. But then it's not like 'Cut, here's credits, now play again.' It doesn't stop the world. There's still relevance to moving around the world, continuing to do missions, and taking down enemies for better stuff. We definitely intend to make sure there's stuff to do and things to find for a long time." Generation Zero launches on March 26 on PC ($35), and PS4 and Xbox One ($40). It's born from an unusual place -- open-world mayhem mixed with realistic hunting. It's rooted in unrelenting commitment to principles. Regardless of how this game turns out, it's admirable that Avalanche made Generation Zero the way the studio wanted to make it, and not on anyone else's terms.